Whether you work for a small startup or a massive enterprise with thousands of employees, you need to know how your team is going to grow over time—in other words, who you’re going to hire and when. That’s why you should develop a recruitment plan to help streamline your hiring processes and make sure you have access to the talent you need when you need it. A strategic recruitment plan is not only important for filling job vacancies, but also because poor recruitment decisions can be costly. By taking a proactive approach and building out a plan for your recruiting in advance, you can save time and money and make sure your team doesn’t find themselves short-handed down the road. The question is: how can you develop a recruitment plan that reflects the dynamic nature of the contemporary job market? In a market that’s constantly changing, how can you anticipate future staffing needs and proactively plan ahead? 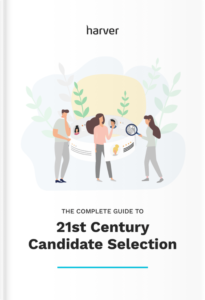 Keep reading to find out the steps you need to take to develop and execute a strategic 21st century recruitment plan at your company! Recruitment plans are about much more than just knowing what roles need to be filled in the near future—they’re an opportunity to align company goals and skills gaps with your hiring efforts in order to strategically plan for the year ahead. A strategic recruitment plan should include the positions you need to hire for, a recruitment calendar, budget information, tracking and assessment tools, and other important details about how you’ll manage your recruiting efforts. It’s clear that building out a recruitment strategy is the best way to rethink and improve your hiring practices—but many companies fail to plan accordingly. To help you navigate the planning process, here are 11 steps to creating a successful recruitment plan. The first step to creating a recruitment plan is to identify your hiring needs and where there are skills gaps your existing talent can’t fill. Start by analyzing the growth of your company, taking into consideration important factors like employee turnover and anticipated promotions, as they will impact your hiring needs. Estimate which departments and roles will need strengthening and why. Is a key member of the team leaving? Will a new project be kicking off? By learning which skills your team will be missing and the ones you’ll need to tackle the future workload, you can take a proactive approach that better aligns hiring with staffing needs. With this information, you can build out a full recruitment calendar for the year. This should include the positions you’ll need to hire for per quarter, total headcount for each department, and a hiring timeline for when each round of hiring will begin. This is how you can visualize your hiring plan to always stay on top of your recruitment efforts. Now that you have a recruitment calendar and a hiring plan, you can identify the tools you’ll need to execute your plan. Some of the most critical solutions for your recruitment tech stack are an applicant tracking system (ATS), accounts on various online job boards, pre-employment assessment and screening tools, and more. These tools will help your team organize and streamline your company’s hiring efforts, automating time-consuming tasks and improving the candidate screening process. Not only should you invest in the tools needed to get the job done, but also make sure that everyone involved has access to the tools and is trained to use them. With a solid idea of which roles you’ll be hiring for, you can begin determining the requirements for each job opening. What are the characteristics and skills that you want job candidates to have? What will their daily responsibilities be? And their goals? To make sure everyone is on the same page and decrease time to hire, you should meet with hiring managers and talk through this step together. This will help you develop a thorough understanding of each role and what the needs are to fill it effectively. When determining job requirements, consider these 8 areas to establish what exactly the ideal applicants should be like. Based on your previous cost per hire, you can estimate how much your recruitment costs are going to be for the year ahead. Bear in mind various costs involved in the recruitment process that you’ll need to account for in your budget. Once you’ve finished with these general steps of your recruitment plan, you can proceed to a role-specific plan with the steps below. Attracting the best candidates all starts with a strong job description. However, many companies take the wrong approach. They list the specific job requirements and expectations, but fail to share anything about what the company has to offer, possibly discouraging job seekers from applying. Avoid this mistake and instead, aim to write compelling and inclusive job descriptions that will appeal to job seekers. They should include information about your company’s mission and values, along with the specifics for the role. Don’t be afraid to show some personality—remember job descriptions are an opportunity to sell the job to potential candidates. In order to stand out, your job posting has to be compelling and creative. Next, you should think about how you’re going to handle the tricky task of candidate selection. Clearly define how the overall process will work by establishing how many interview rounds you’ll have and who will be tasked with interviewing and selecting candidates. That said, you shouldn’t use a one-size-fits-all selection process for choosing candidates. Rather, you should look for different ways to personalize the experience for each candidate. You can do this by considering what questions, needs, or concerns they might have throughout the interview and selection process and proactively addressing them. Check out the online application experience Netflix created and think how a similar pre-selection method would benefit your application process. Once you’ve selected a candidate, you should conduct a background check as needed. This may not always be necessary, depending on company policies and the role you’re hiring for. Determine whether background checks will be needed early on, as this will help to avoid potential process delays down the road. You should make it a point to check references, which are a way of assessing organizational fit and confirming their qualifications. They essentially help to confirm your internal assessment of whether or not a candidate is a good fit for the organization. During reference checks, try to ask open-ended questions about performance, accomplishments, and difficulties to learn as much as possible from the reference. As part of your overall recruitment plan, you should define who will make the offer and further negotiate with the chosen candidate. By determining how this will go in advance, you can ensure a much smoother candidate experience. First, you should call or email your ideal candidate and offer the position. Once you have confirmation that your candidate will be accepting the role, it’s common to follow up with an official offer letter that outlines the agreement in writing. On average, 9 out of 10 job offers are accepted. If your ratio is lower than this, you might want to look into where the problem lies. That’s the last step in the plan, right? Wrong! The best recruitment plans don’t stop with the offer letter. As you wrap up your plan, define what will happen after the job is accepted. Who is going to take care of preboarding and onboarding? By answering these questions in advance and having a plan in place, you can make seamless transitions from candidate to employee. Lastly, you should leverage new hire feedback and analytics to inform your recruitment plan and optimize it accordingly. Send out an anonymous survey to collect feedback from new hires. How was the interview and selection process? What part of the process was done well and what part could have been better? You can also make good use of your hiring analytics. Review key recruitment metrics like time to hire, quality of hire, early turnover rates, and cost per hire. Then find ways you can improve your recruitment process based on those insights. Just like the 21st-century job market and the recruiting industry are always evolving, your recruitment plan should also develop over time. …and don’t forget that a corporate job opening can attract up to 250 applicants on average. Your recruiting game must be continuously optimized to bring you the best results. A recruitment plan should be the ultimate guide for your recruitment efforts. It may take time and effort to create one; however, don’t think it’s final once you’re finished. You should adapt and optimize your plan based on the business’ needs and how they fluctuate over time. For example, what if your company grows faster than expected and you need to hire more people than you originally expected? Or what if you decide to implement a brand new technology? Continue working on your recruitment plan, measuring key metrics and enhancing it as you go to achieve the best possible results.